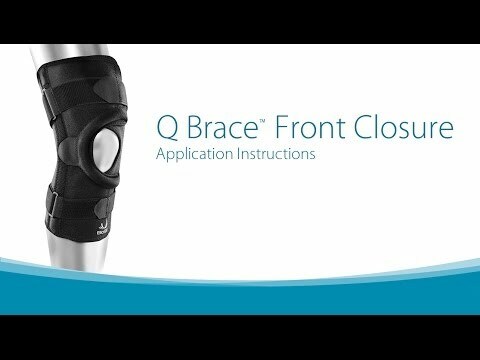 Bio Skin’s® Q Brace™ Front Closure is easy to apply and has a unique, multi-functional design to increase patella-tracking. The “T” strap prevents dislocation and may be secured in various positions to regulate the direction of traction on the patella. The design of the braces causes the force of traction to increase as the knee continues its range of motion. Similar to Bio Skin’s® other knee products, the Q Brace™ is constructed from Bio Skin’s® patented, breathable, thin materials, making it comfortable to wear, even in hot climates.